Happy good gobbling Wednesday to you! 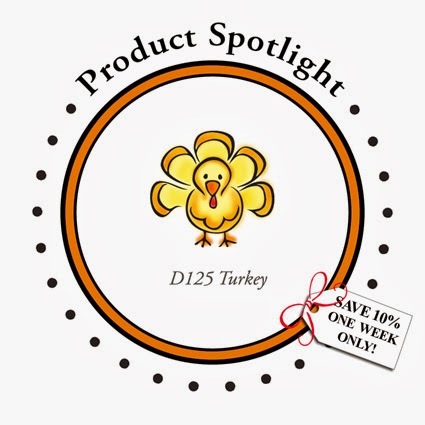 The DeNami Design team is bringing you a brand-new Product Spotlight today, and this time it's the sweetest little gobbler ever. 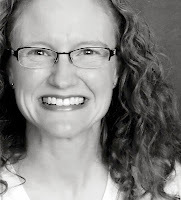 Introducing . . .
See? Totally sweet! I think this little Turkey is a match made in heaven for DeNami's Give Thanks Circle stamp. So, that's obviously the way I had to roll with this one! I created my background with the elegant and beautiful Solid Leaves Set cling stamps and some Toffee Versafine ink. I'm sure it won't surprise you that I incorporated some washi tape into my design ;). This time around it's from a roll of DeNami's Brown/White Dots washi. It's always fun to see how others use the same stamp, so be sure to check out the rest of the team's lovely creations today on the DeNami blog. Like what you see? Then you can score a great deal on the Mr. Turkey--as our Spotlight Product, he's on sale at 10% off for the next week!! The turkey is really cute!! And love your stamped background too! Love this Emily!! The pop of red is so pretty against the warm browns!! That turkey is so sweet, Emily. Hope he's around after Thanksgiving...if you know what I mean. :-) I LOVE your pretty background of leaves and the way you crossed your Washi tape. Such a pretty card. The background is gorgeous and the criss crossed washi look great too! Very cute. I am too afraid to even use Washi anymore because you are now the Washi Queen, and I am too intimidated to use it! I love how you can incorporate it in all of your creations! This is fabulously fall! That background is fabulous (leaves are on my wishlist--higher now!) & I love everything about this cute card, Emily!